ELMO USA Corp., a global leader in education technology for over 45 years, introduces the NEW CRB-2 Interactive Whiteboard to their product lineup. 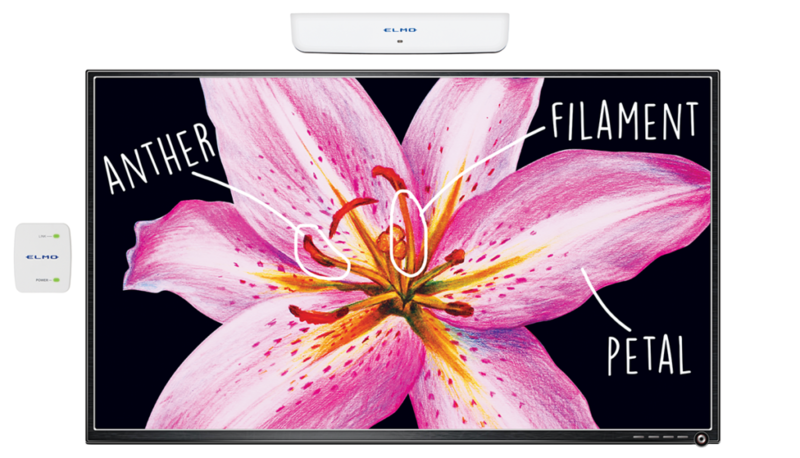 ELMO is primarily known for their industry-leading document cameras and classroom technology solutions, and the CRB-2 marks their exciting debut into the interactive display market. The CRB-2 Interactive Writing Tool turns any surface into an interactive display for a fraction of the cost of traditional electronic whiteboards. Simply attach the CRB-2 sensor bar above a television monitor, projector screen, or even onto an empty wall, and easily transform any room into an interactive workspace. Cost-effective – Traditional interactive displays can cost thousands of dollars and require wall installation. The CRB-2 Interactive Writing Tool offers a flexible, budget-friendly solution for a fraction of the cost of traditional flat panel displays. Interactive Pen – Draw, highlight, erase, annotate, and more with the CRB-2’s interactive pen. Lightweight and Portable – The full CRB-2 system (sensor bar, wireless transmitter, interactive pen) weights less than 1lb, making it the simplest solution to turn a non-interactive space interactive. 50 Foot Communication – Wireless communication distance between the sensor bar and wireless transmitter is up to 50 feet, allowing for flexible setup options. 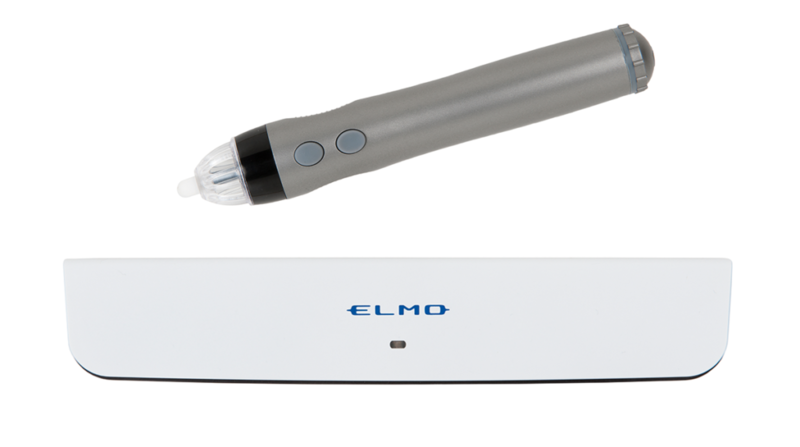 PC-Free with ELMO Document Cameras – The CRB-2 Interactive Writing Tool becomes PC-free when paired with your favorite ELMO document camera. The CRB-2 Interactive Writing Tool will be available Summer 2018. For more information on the CRB-2 Writing Tool, including product features and specifications, you can download the CRB-2 product brochure.